Get your free TPO Roofing estimate in Niceville! TPO is one of the most popular flat roofing materials out there at the moment. This is a single ply application that stretches over the entire roof, and is not only energy efficient, but also a bit more economical than other roofing systems! This roofing material can be fully adhered, mechanically fastened (screwed in). TPO seam strengths are reported to be three to four times higher than EPDM roofing systems. This is a popular choice for "Green" buildings as there are no plasticizers added, it reflects sunlight, and TPO does not degrade under UV radiation. Using white roof material helps reduce the solar heat gain in the building as its very reflective. 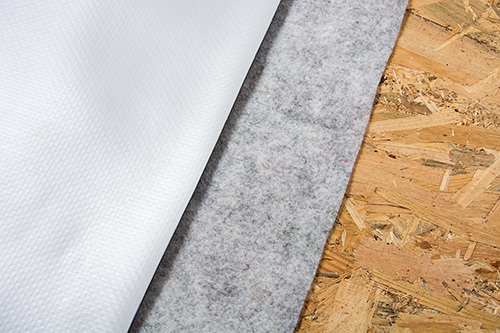 The poly-iso insulation is mechanically fastened to the roof deck and the TPO is stretched over the roof in big sheets, stretched out and the seams are heat welded together. The lifespan is 20 years but can reach up to 30, and it's a great option for your residential, commercial, or industrial needs!